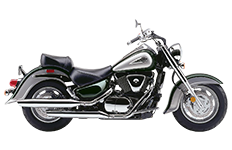 The motorcycles in the Suzuki Marauder and Intruder series need no introduction. Strong performance meets Japanese assurance in these superior products. Naturally nothing but the best will do when it comes to accessorizing these babies. That is why the Viking bags for Suzuki Marauder and Intruder motorcycle series make such a great match. Specially designed to offer optimal functionality and comfort, these make a great road partner for all die hard bikers. There is ample room for storage which is a great boon for now one can organize and store a lot of belongings without requiring additional luggage. 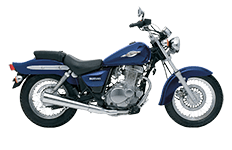 One can go ahead and store important documents and valuable as well, since the Suzuki Marauder and Intruder bag comes with advanced locking mechanism. Fear of losing stuff easily or falling prey to theft is much less with these products. Made of 100% leather which ensures durability, the bags go on performing and looking great for years. The durability itself ensures optimal value for money and when you add the various functionalities to it, you have a sure winner. The zippered pockets outside offer easy storage for things that need to within reach while the internal pockets are meshed and lined with weatherproof material for better protection. Bags for Suzuki Marauder and Intruder motorcycle are custom made to ensure great fit. They are also all-weather products which protect the luggage within from rough weather conditions, round the year. Metal frame structure and plastic reinforced body ensures shape is maintained well, while the shock absorbent powers protect both bag and belongings easily. Each package comes with a complimentary hardware and with the hassle free with universal mounting options, there is always more room for flexibility in seating and customization in the way it can used. So one can use these as detached hardware and even as throw over mounts, whenever needed.